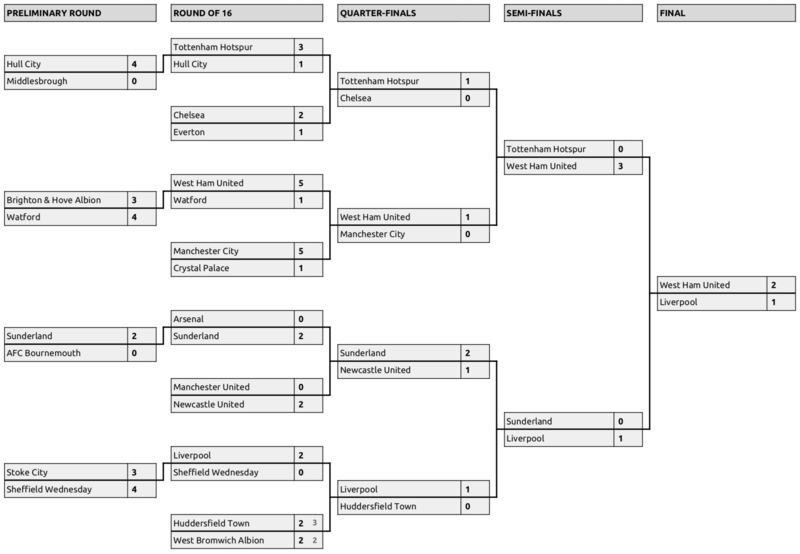 Season 181 of A·F·L Chart Soccer has begun as usual with the Premier Cup, which was won by West Ham United, who defeated Liverpool 2—1 in the final. In the league, West Ham continued from their success in the season opener by forging into a lead that they held for more than 26 matches. They were challenged, however, by both Arsenal and Chelsea, with the latter holding sway at the final hurdle. It is their 10th A.F.L. title, tying with Manchester City, Newcastle and Sheffield United. West Ham were in contention for three trophies (the league, the A.F.L. Cup and the Euro-Cup) at one point in the season but did not win any of them. However, it was still a successful season for them as they managed to finish third in the league, and therefore clinch a place in next season's Euro-League, as well as reaching the semi-final of the A.F.L. Cup and the quarter-final of the Euro-Cup. Spurs took fourth and place clinched a berth in the Euro-Cup along with Watford, who finished in a very creditable fifth place in their first season back in the top flight. The other two promoted clubs also managed to retain their places in the Premiership. Bournemouth finished in a healthy ninth place, and Sheffield Wednesday held off a challenge from Middlesbrough to survive by three points in 17th place. The Tees-siders went down along with Hull City and Sunderland, the latter having a disastrous season, shipping seven goals at Arsenal and six at home to on-form Watford. The A.F.L. Cup was won by Arsenal, who beat north London rivals Spurs 3—2 after extra-time. The results from the lower leagues will follow soon. (P) Promoted; (O) Play-off winners; (R) Relegated; (p) Promoted in previous season; (r) Relegated in previous season.